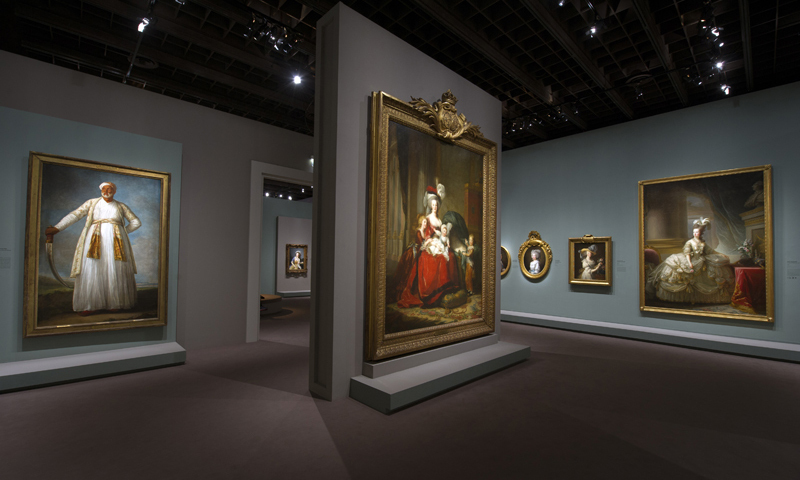 With the $7.2 million sale of the Portrait of Muhammad Dervish Khan at Sotheby's on January 30, 2019, Elisabeth Vigée Le Brun became the most expensive female Old Master. 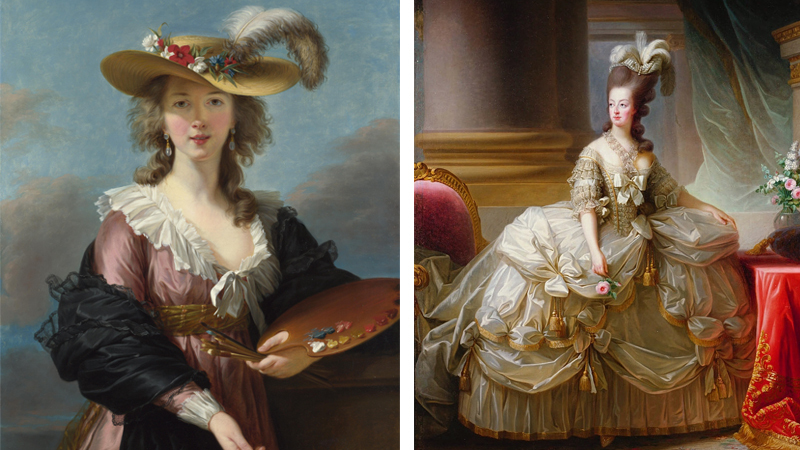 The French Rococo artist was celebrated during her lifetime and beyond for her elegant portraiture that imbued her subjects with a regal gentility that reflected quiet dignity and humanism. Born in 1755 in Paris, Elisabeth was the daughter of Louis, a portraitist, and Jeanne Vigée. Her father imparted his expertise to his young daughter, who showed an early talent in painting. By the age of 19, she was accepted as a member of the Academie de Saint-Luc, a Parisian painters guild. Two years later, she married Jean-Baptiste-Pierre Le Brun, who was related to Charles Le Brun, the foremost court painter under Louis XIV. Jean-Baptiste-Pierre was a member of Parisian art circles as a painter and dealer himself, and their home became a sort of gallery where Elisabeth would display her works. 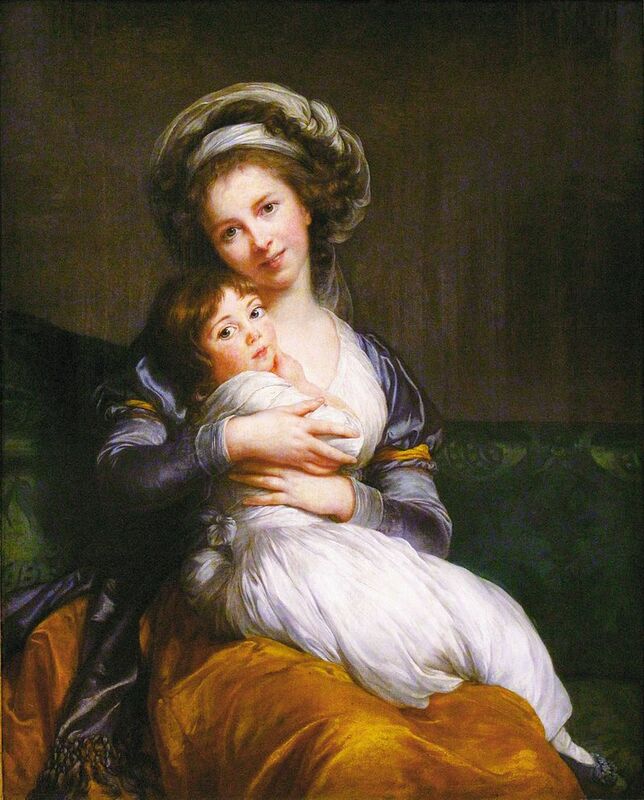 She first exhibited at the Paris Salon in 1787, the leading artistic showcase held annually at the Louvre and submitted a portrait of herself with her daughter Julie. This work was criticized because she is smiling and showing teeth, considered a lack of decorum at the time. She exhibited at the prestigious Salon nine times over her life. 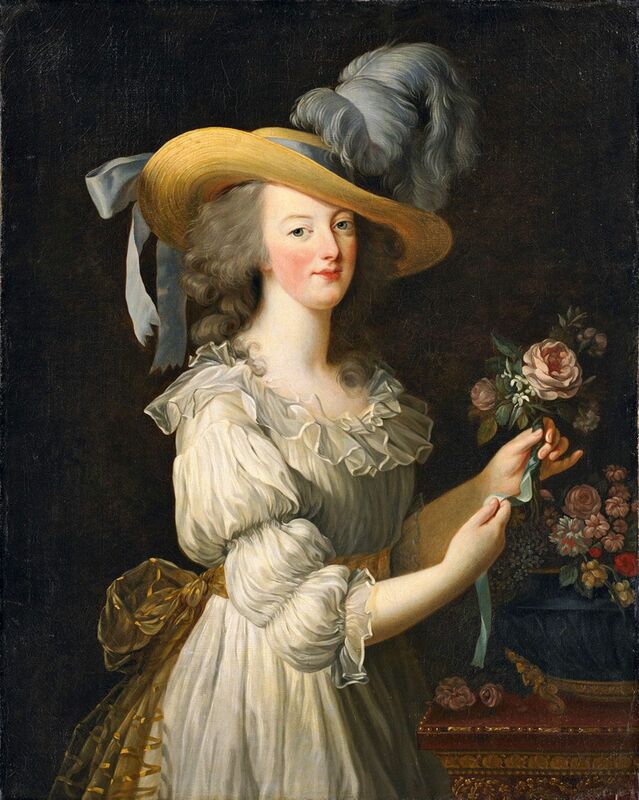 Despite this slight controversy, her popularity grew among Paris' most elite circles and in 1783, Queen Marie Antoinette commissioned her to paint her portrait and those of her family, although Le Brun was not named the official painter of the French court. 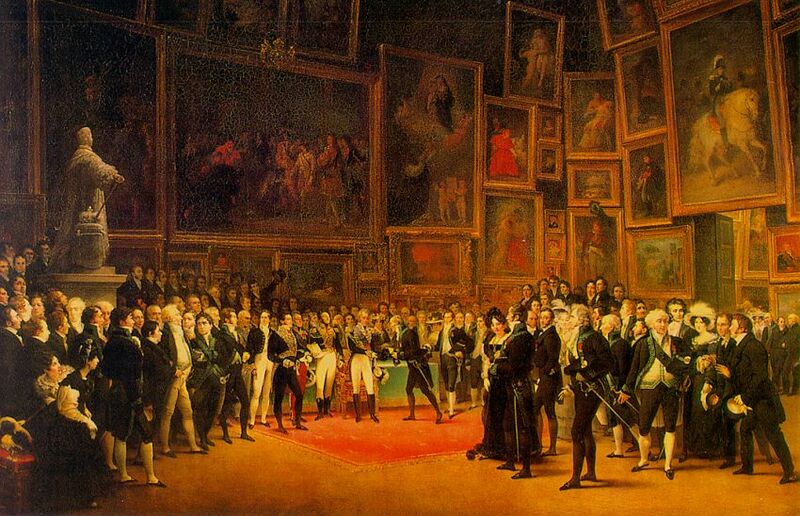 Of the 30 portraits that Elisabeth executed of the Queen and her family, one caused a true scandal. For the Paris Salon of 1783, Le Brun submitted Marie Antoinette in a Muslin Dress, depicting the Queen sheathed in a casual white gown as she holds a flower from a bouquet and gazes calmly at the viewer. 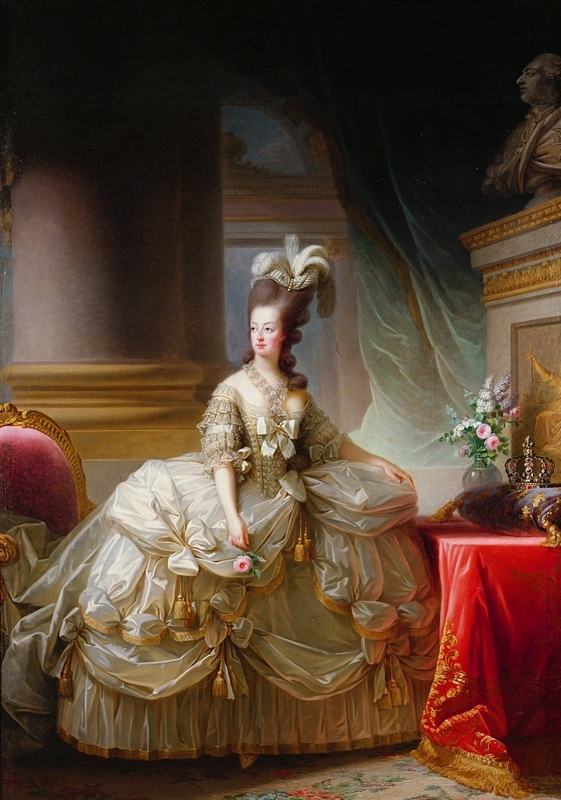 This informal portrayal of the French queen was harshly condemned and from then on, Marie-Antoinette was depicted in only the most elaborate court attire against lavish backgrounds. 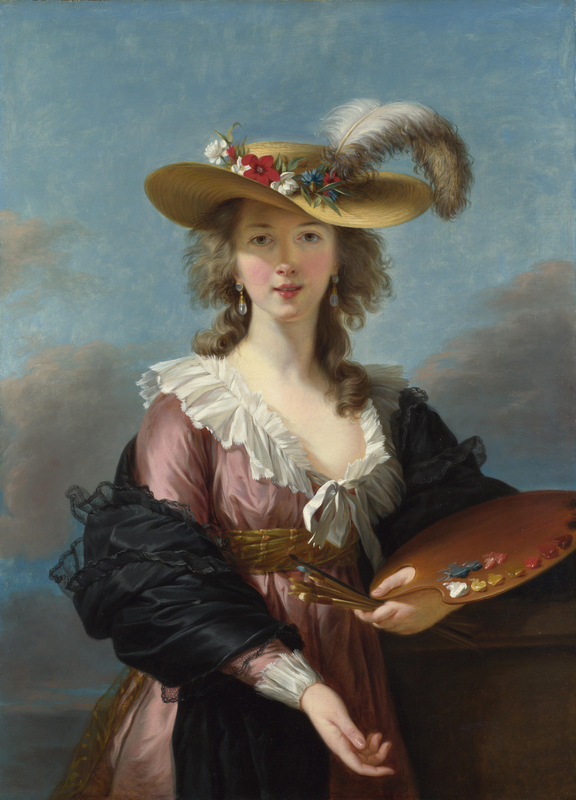 Through the support of Louis XVI and Marie Antoinette, Le Brun was accepted to the Royal Academy of Painting and Sculpture later that year, one of only 15 women ever inducted. However, with the dawn of the Revolution, French female intellectuals were disparaged, and by 1789, with the incarceration of the royal family, Elisabeth decided to escape France because of her potentially endangering association with Versailles. For the next 12 years, Elisabeth would travel throughout Europe with her daughter, Julie, spending significant time in Italy, Austria, England and Russia. Her reputation preceded her because of her relationship with Marie Antoinette and she was warmly welcomed into royal courts from which commissions streamed. 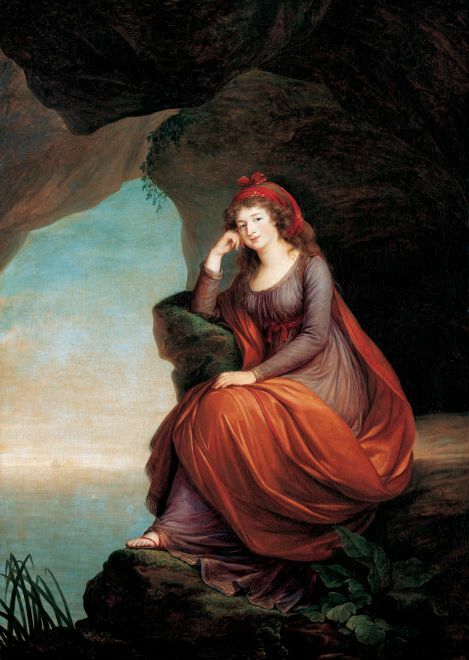 During this time, her work verged from the style of Rococo into Neoclassicism and she often used her famous, and royal, subjects as models for classical Greek and Roman figures, depicting young princesses, baronesses and empresses as their mythological equivalents: Ariadne (goddess of Crete), Iris (goddess of the rainbow), Hebe (goddess of youth) and Flora (goddess of plants and flowers). 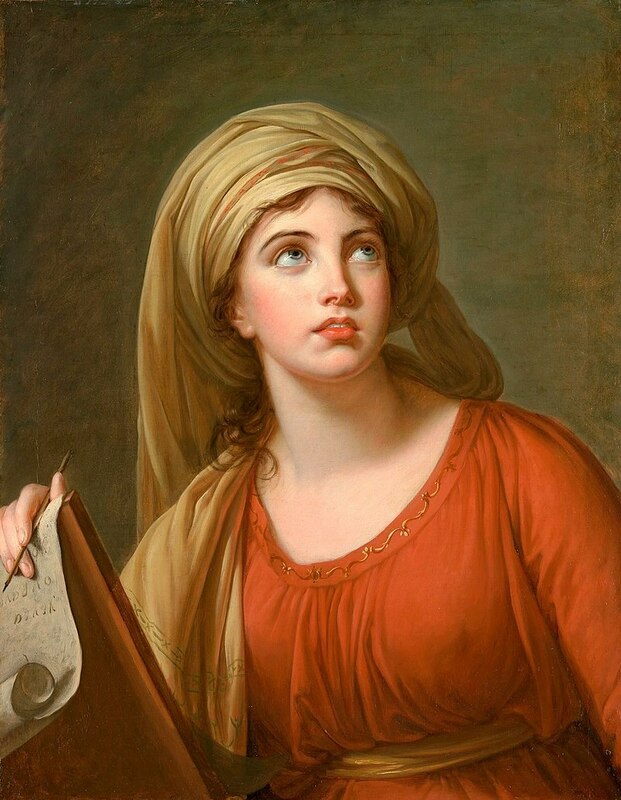 Her favorite painting was Head of Emma Hamilton as Cumaean Sibyl. The youthful and dewy Lady Hamilton, draped in a crimson dress and her hair wrapped in a billowy turban, was notorious as the mistress of Lord Nelson, a leading British Naval officer in the Napoleonic Wars. She was the model for the Cumaean Sibyl, the beautiful and powerful Roman prophetess canonized in Vergil's Aeneid. She returned to Paris in live in 1802, but still traveled to courts across Europe, particularly to London and Switzerland, and enjoyed continued success. Le Brun published extensive memoirs in her early eighties and died at the age of 86 in 1842. In the 21st century, her work has undergone a significant revival of recognition, with retrospectives at the Grand Palais in Paris (2015-2016) and the Met in New York (2016). Today, her corpus of work, which includes over 850 portraits and landscapes, hangs in the world's top museums, including the Louvre, the National Gallery in DC, the Hermitage in St. Petersburg and the Met in New York. 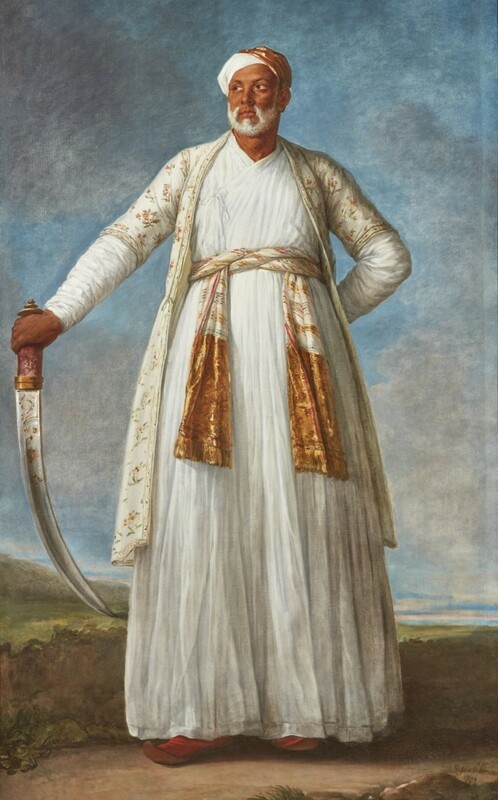 The spotlight is back on Vigée Le Brun in 2019 in a major way with the sale of her large-scale portrait of Muhammad Dervish Khan, an Indian ambassador who visited Paris in 1788 to request French support against the British in India. This visit marked an important moment in world history: as France feared for its own revolution and could not provide support for India, the country would succumb to British rule in the mid 1800s until liberation in 1947. 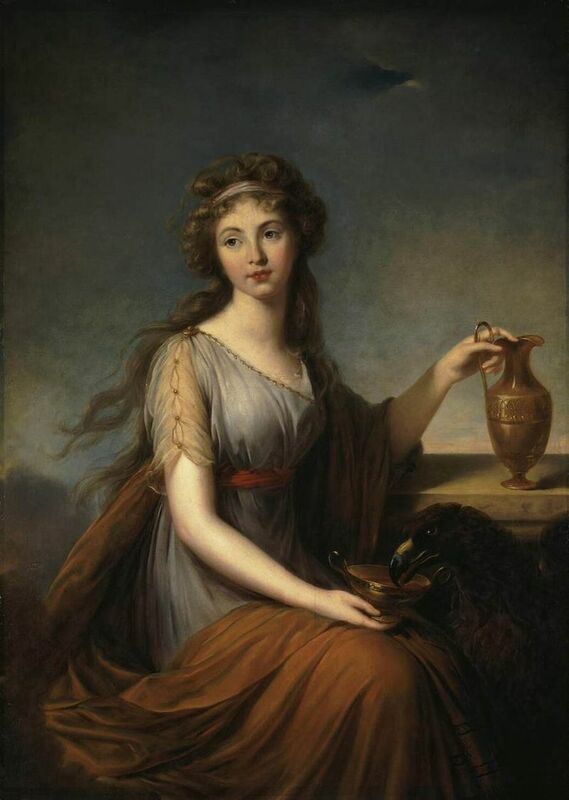 With the record-breaking $7.2 million price tag, the sale establishes Vigèe Le Brun's legacy as an incredibly skilled artist whose deft, perceptive style of capturing beauty, grace and authority, in correlation with Neoclassical ideals, provided her independence and success in a field that was limited to women. Marketed by Sotheby's as the centerpiece of 21 female Old Masters works in an exhibit titled "The Female Triumphant," the portrait and new record call for a look back on pre-20th century female artists who were not often championed in their time, but whose artworks are certainly triumphant.